Access Media makes it easy and cost efficient for you to communicate effectively with people with hearing or vision difficulties, or where your audience is from a different cultural or linguistic background. 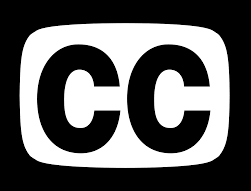 Captions differ from foreign language subtitles in that as well as spoken dialogue, they provide information on music and sound effects which are crucial to understanding the program. Audio Description (also known as video description or descriptive video) provides succinct and precise description of visual information to people who are blind or visually impaired. Access Media can produce subtitles in over 40 languages for English dialogue, or English subtitles where the source media is a language other than English. Access Media provide Captions and Audio Description for “Guilty”. Michelle and her team have provided language services for Stellar Group's Airline Inflight Entertainment portfolio and post production facility for a number of years. They continue to provide translations and voice talent in numerous languages and are always honest, reliable and willing to go beyond the call of duty. I wouldn’t go anywhere else. "As Information Services Manager at the Board of Studies NSW, (now NSW Educational Standards Authority (NESA)), I led development of the ten Australian Government Department of Veterans' Affairs (DVA) Australian history educational websites over several years. Four of these websites were developed in multiple languages, Korean War site (Korean), Hellfire Pass on the Thai-Burma Railway (Thai), Australians on the Western Front 1914-18 (French and Dutch-Flemish), Gallipoli (Turkish). Michelle and her team provided all the translations. The translations are of very high quality. Australian Embassy staff in each of those countries have commented very approvingly about aspects of the translations. Michelle's team also provided audio descriptions for a wide range of archival videos and historical veteran interviews for WCAG 2.0 compliance: each created efficiently and accurately with an excellent understanding of the medium."